This book was a definite cry-your-eyes-out book. It was REALLY sad, and VERY realistic. It had some not so good words in it, but was still very good. 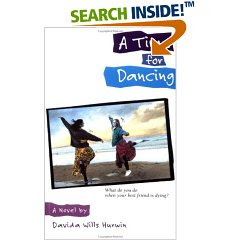 It is a book I think most best friends should read, because we some times take these things for granted, friends, good health, the ability to choose things for ones self. All in all I really liked it. Not one of my favorites, but still very good. It really shows how valuable life is. To make it short and sweet, it is about the best of friends. They do everything together, and have been doing so since they were nine. Everything is going great, until one of them gets sick, very sick.